Charles Eisenstein brings us his ongoing way of seeing a New Story to OUR Ecovillage in this intimate evening — a deep dive into what ‘community’ truly can be. From the “Beautiful World which Our Hearts Know is Possible” to the “Sacred Economics” framework for living; Charles has been a main midwife for The Gift Economy and an inspiration for us telling A New Story. Join this smaller space of personal and heartfelt conversation to co-create the possibilities of how we might choose to live; personally and collectively, towards a different future. 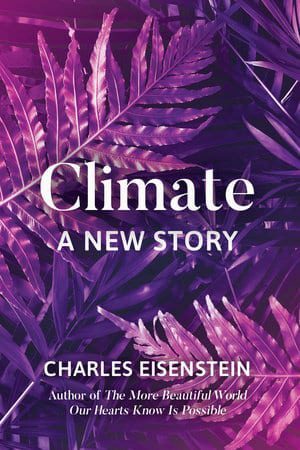 Charles will also be bringing through his new book tour for “Climate – A New Story”: (2018) – and will have copies for personally autographing when purchased at the event! Price: Ticket price of the event will function under the ‘Gift Economy’, and all funds will be going directly to Charles. “Gift Economy” means that the price is self-determined. Pay the amount that reflects your feeling of value, gratitude, and desire to support his work, consistent with your financial means. In order to reserve your place please make any amount of donation at the link below. PLEASE WRITE IN THE DONATION NOTES: CHARLES EISENSTEIN as this is a multiple stream Paypal account and this is important for us to ensure we know what the donation was for! One ticket will be reserved under your name per donation made. We will also be having a buffet style dinner before this event in our Zero Mile Eatery featuring food from OUR Organic Permaculture farm, as well as an aftergathering with appetizers and a no-host bar for those who want to further the conversation and celebration in community. Can’t join us in person? We’ll be hosting a pay-what-you-can digital ticket of this event via Stream of Consciousness. DIGITAL tickets & details are here! “Flipping the script on climate change, Eisenstein makes a case for a wholesale reimagining of the framing, tactics, and goals we employ in our journey to heal from ecological destruction.